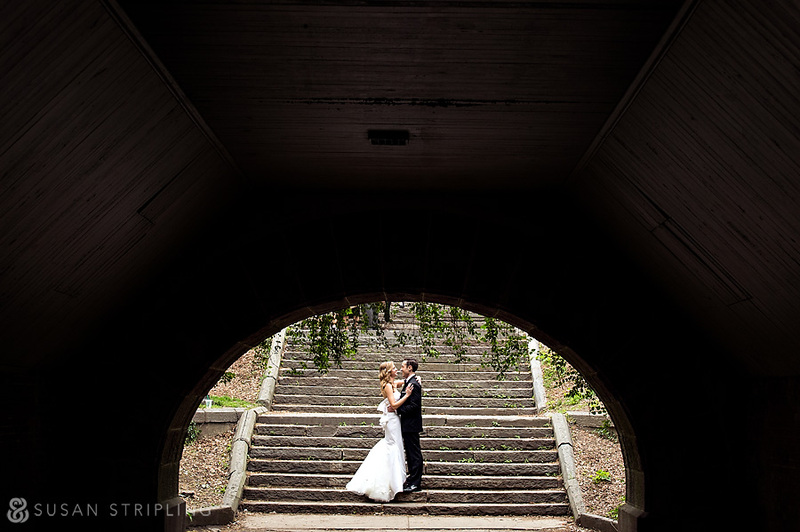 I had been looking forward to Samantha and Adam’s Central Park Boathouse wedding since photographing their engagement session in Brooklyn last year. 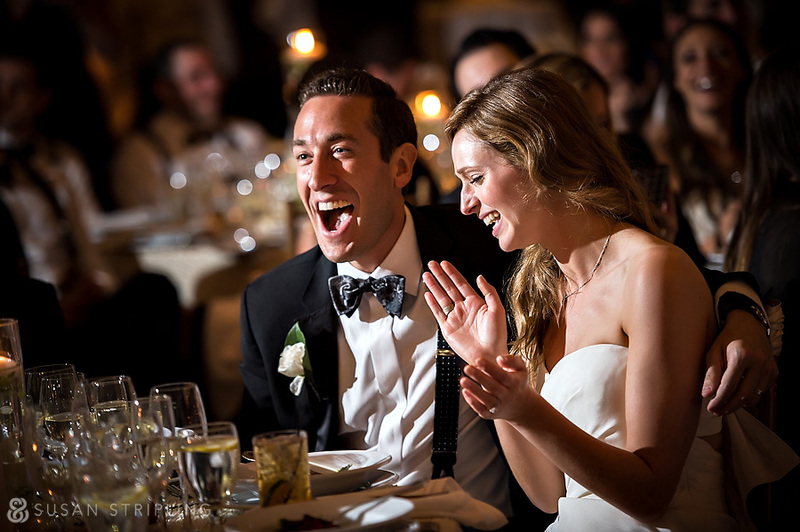 Loeb Boathouse has long been one of my favorite locations for Manhattan weddings. 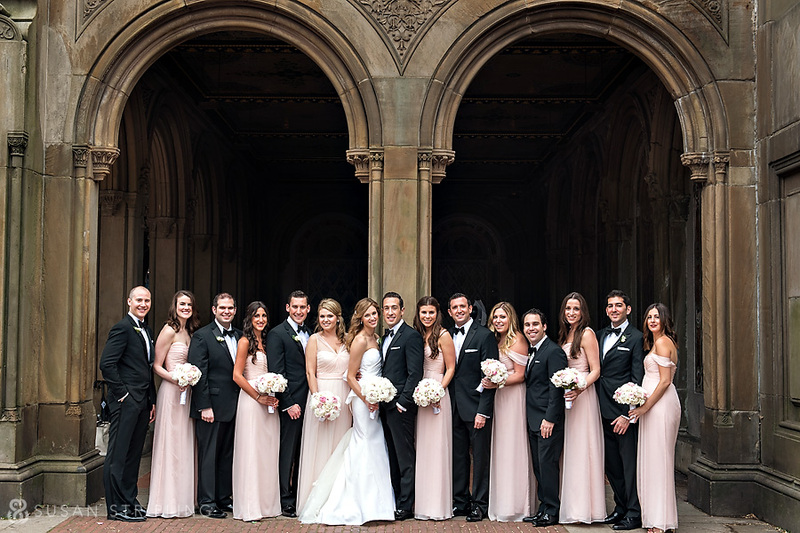 A beautiful landmark restaurant in Central Park, the Boathouse is a wonderful choice if you’re looking for an iconic wedding venue with a uniquely Manhattan feel. 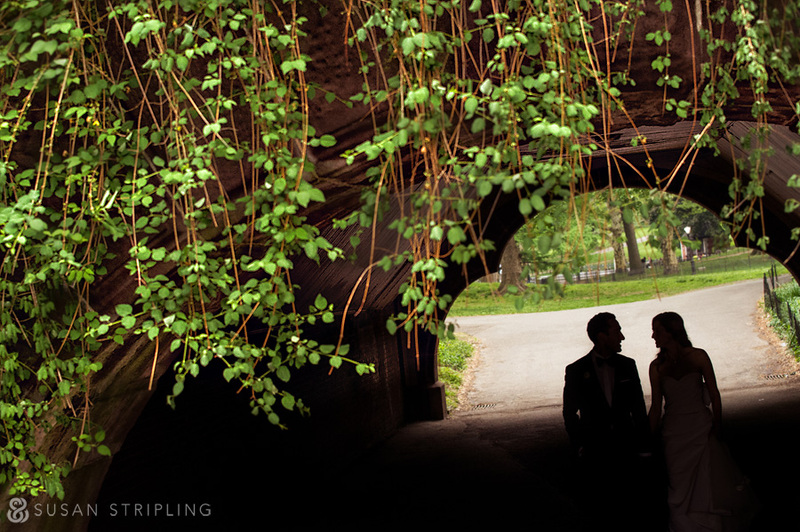 It’s also close to Bethesda Fountain and the Central Park Mall, which are two of my favorite places in New York for wedding day portraits. We started the day at The Empire Hotel. The suite was gorgeous, and full of brilliant light. 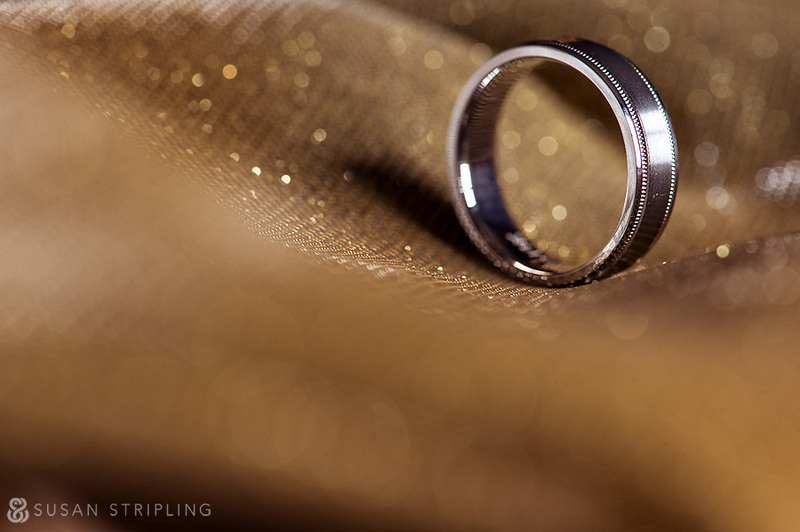 I had a few moments with the bride and groom’s rings before the day really got started, and it was nice to spend a bit of time documenting those precious details. The bride’s delicate Jimmy Choo shoes reminded me of salsa dancing shoes! I love the interlacing straps! Samantha gave Adam the most wonderful watch for a wedding gift. I love how the stripes on the card mirror the stripes of the drapes! Samantha’s mother is absolutely lovely. I adore this moment where Samantha gave her mother an exceedingly thoughtful – and beautiful – gift. 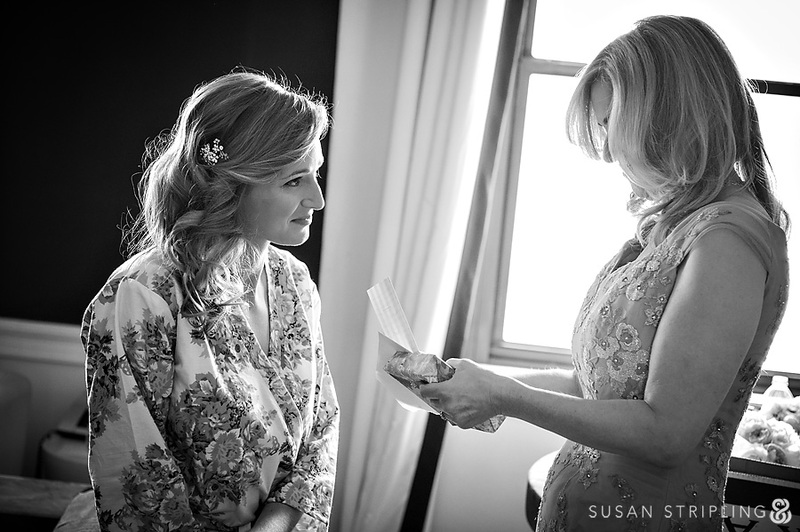 Moments between brides and their mothers are so beautiful to document. 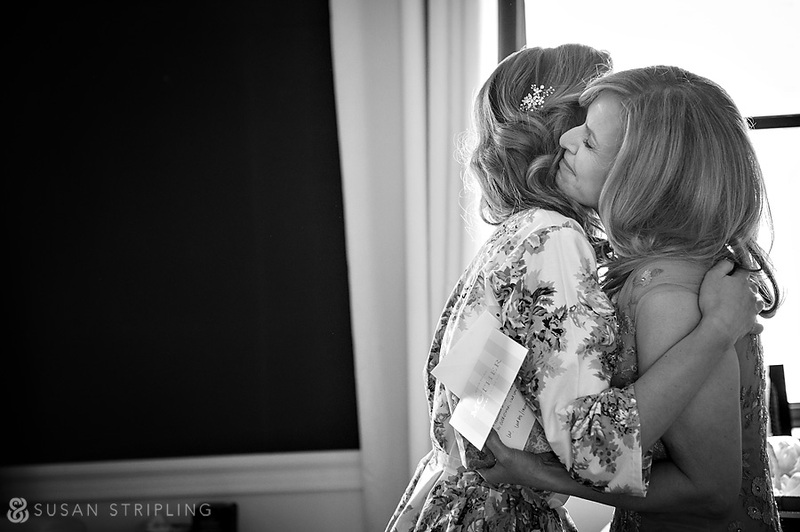 I was so honored to have captured this sweet, fleeting moment for Samantha and her mom! The light in The Empire Hotel was beautiful. However, it didn’t hold a candle to Samantha’s dress. There were two huge bows on the back of the dress that were sculpturally GORGEOUS. Samantha’s sister is fantastic. She’s funny, sweet, and a total joy to be around. She even helped Samantha put on her shoes – how kind is that? The Empire Hotel really does have beautiful light. I love this quick moment between Samantha and her mom, right before she left to see Adam for the first time. 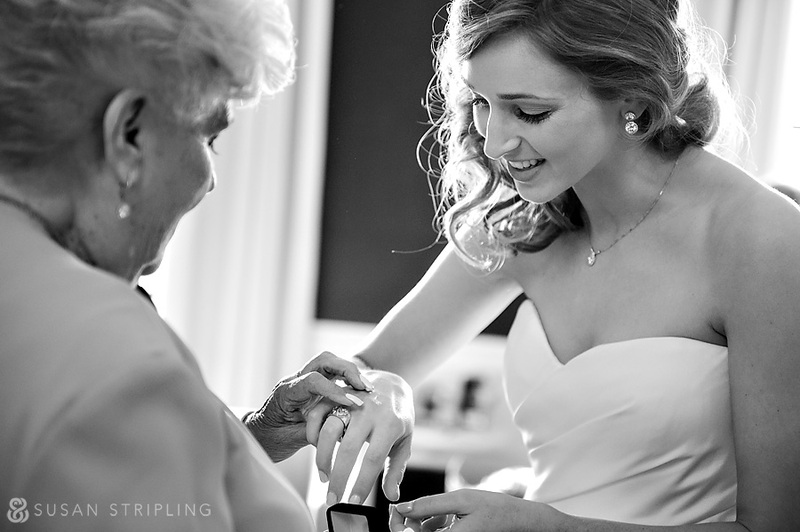 Samantha’s grandmother gave her a beautiful heirloom ring that had passed from her to Samantha’s mother. Now that it was her wedding day, the ring belonged to Samantha. I adore this sweet moment between Samantha and her grandmother. I especially love her mom and dad’s reactions. 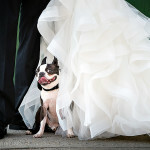 Samantha and Adam opted to see each other before their ceremony. 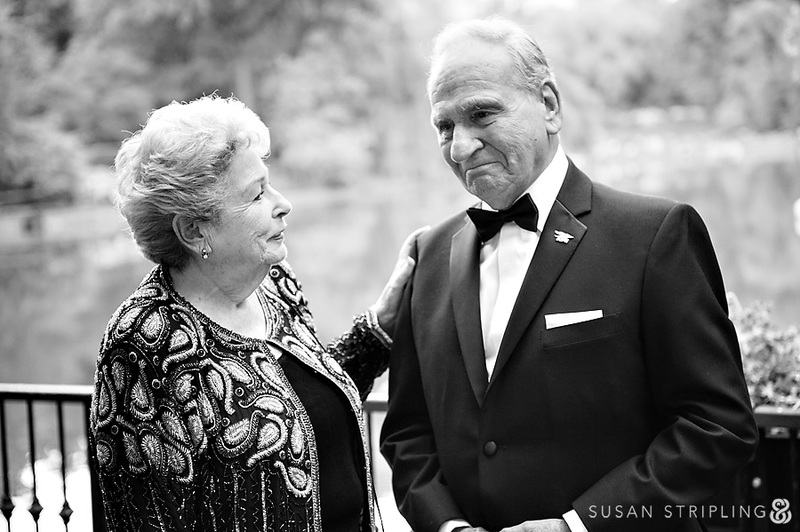 They saw each other for the first time in Lincoln Center. 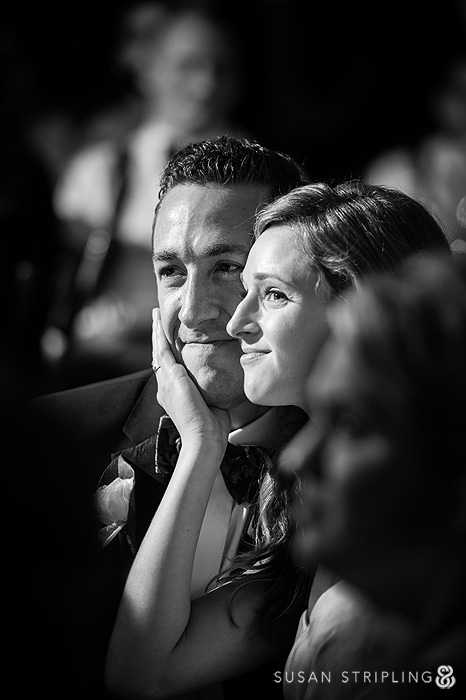 We had no idea that wedding photography was strictly prohibited in Lincoln Center. Great thanks to the security guard who let us stick around and allow this moment to unfold before kicking us out! Samantha’s reaction to seeing Adam for the first time makes me smile every time I see it! New York is teeming with people. Usually it makes wedding images tough to create, because you’re always striving to crop out the tourists. In this image, I love how the people in the background add to the moment. Totally random strangers, just taking pictures of a bride and groom they don’t know – welcome to New York! I love the swirly bokeh of the Petzval lens for my Nikon. It creates such a delightfully surreal background. I’m always looking for a way to show a familiar scene in a new way. I love this double exposure. 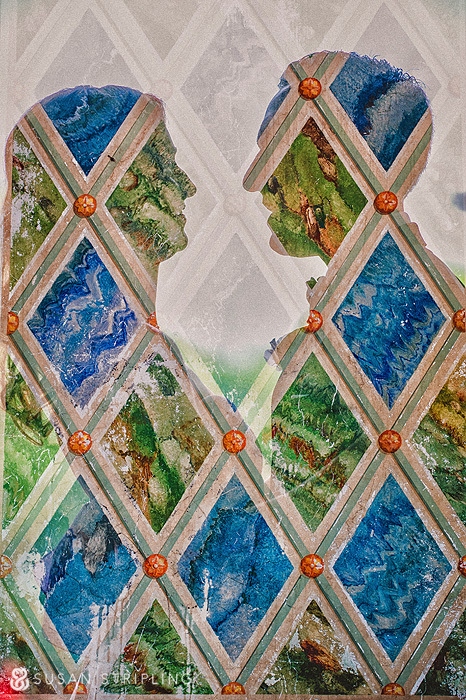 All of my double exposures are created in camera, not in Photoshop, so they’re extra fun to put together! I realize that I don’t show many posed images here on my blog, focusing on moments and natural portraits. This has led people to ask me if I even take posed images – of course I do! I love to keep them light, easy, and beautifully quick! 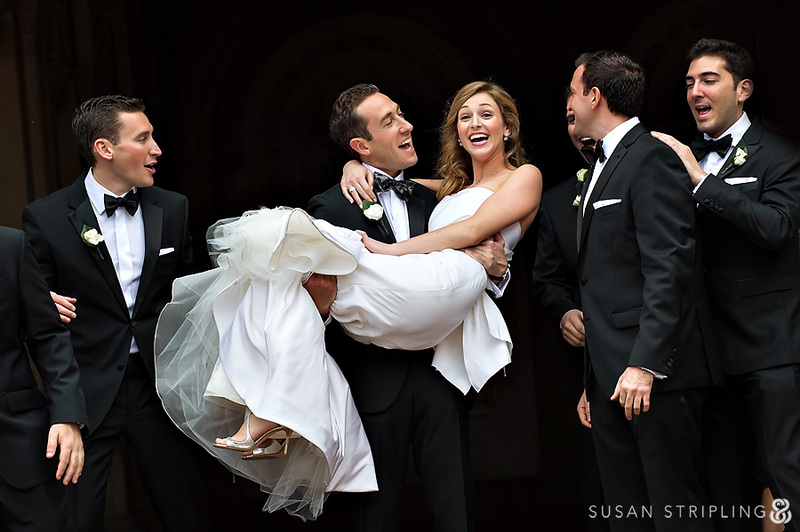 The groom and groomsmen requested a photograph with Samantha, and the next thing I knew she was off the ground! 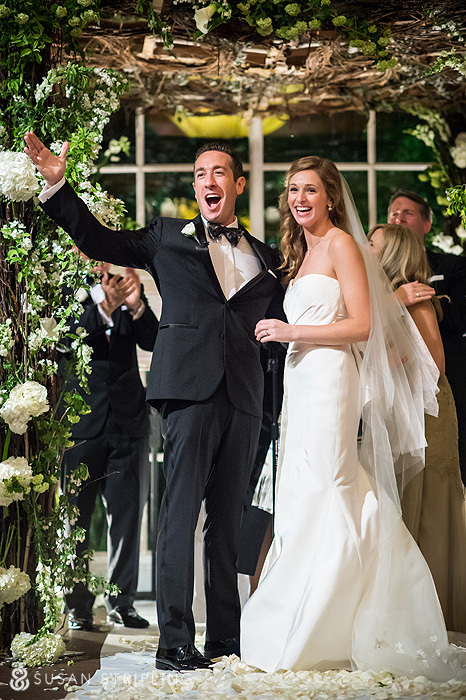 I love the pop of black tuxes against the white dress shirts and Samantha’s brilliant white dress. The Central Park Mall was crowded with people on this particular Saturday, but with some great composition and creative angles, it looks like Samantha and Adam are completely alone. I love the arch of trees behind them! Central Park is an amazing place, and every time I shoot there I find something new, like this gem of a tunnel near the Boathouse. For those of you at the wedding and following their wedding hashtag, this is the real version of the iPhone image that I posted from the day! I can’t help but smile at Samantha’s mother’s smile. 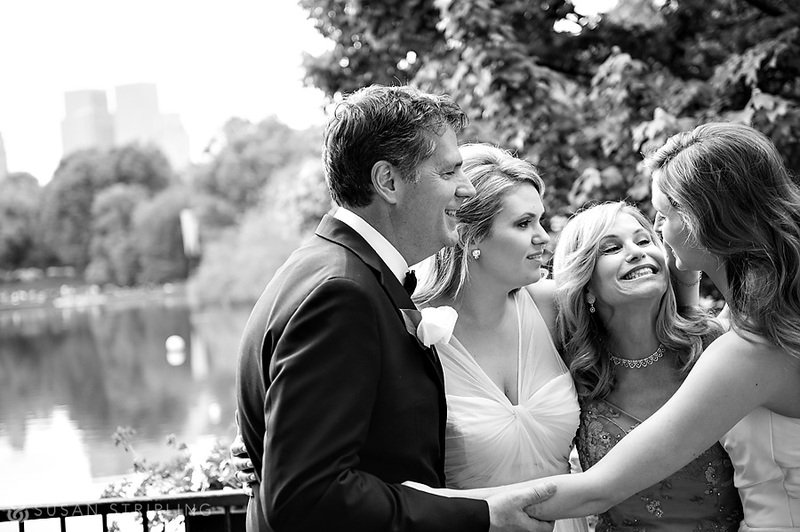 I love this image of the bride with her sister and parents. 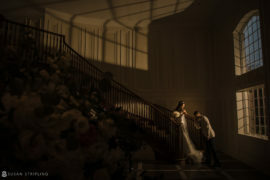 While documenting the family formal images, I am always on the lookout for sweetly emotional moments just like this one! The boathouse does a great job of separating the reception space from the ceremony space. 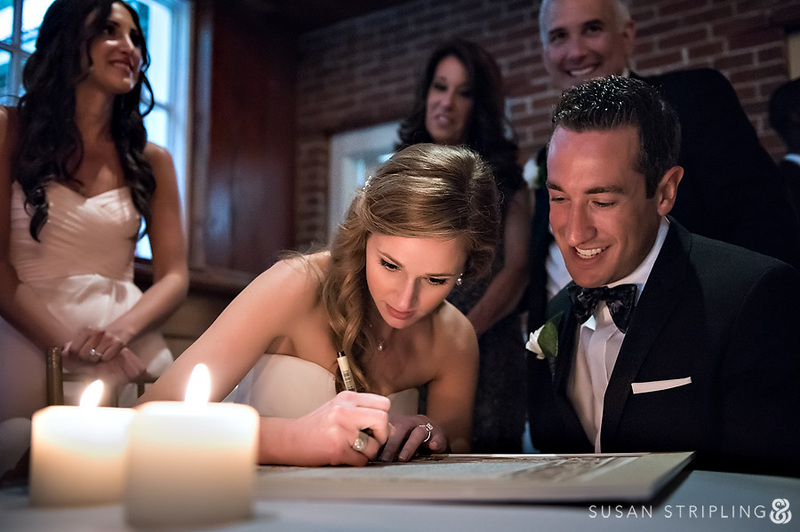 We only had a tiny space for Samantha and Adam to sign the ketubah, but we made it work! Someone held up the flashlight from an iPhone so they could see to sign, and I thought it made a great impromptu light! A lot of wedding photographers love the kiss at the end of the ceremony. I do, too. 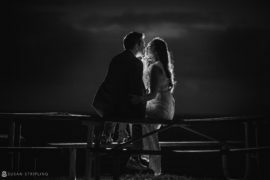 But my favorite moments usually occur immediately after the kiss, when the bride and groom turn to face their family and friends. This image perfectly illustrates why I love that part of the ceremony so very much! Hank Lane’s Marcus Reid band was INCREDIBLE. 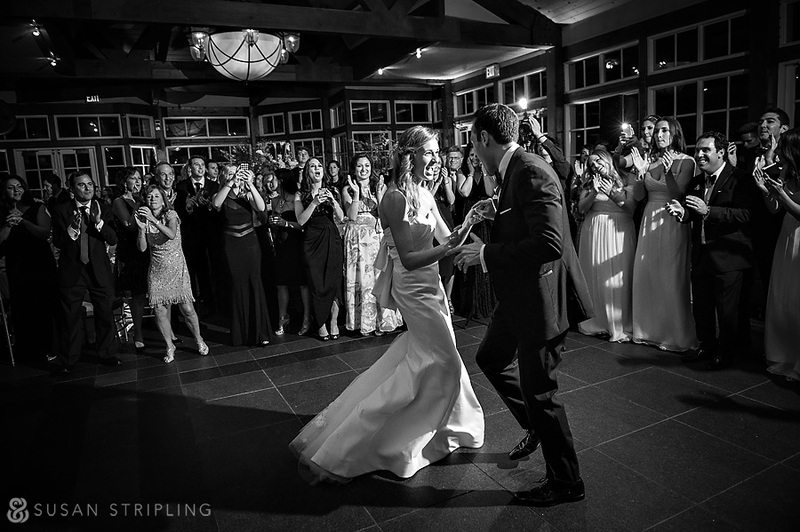 From the very first introduction of the bride and groom, they had the crowd on the dance floor until 2am! 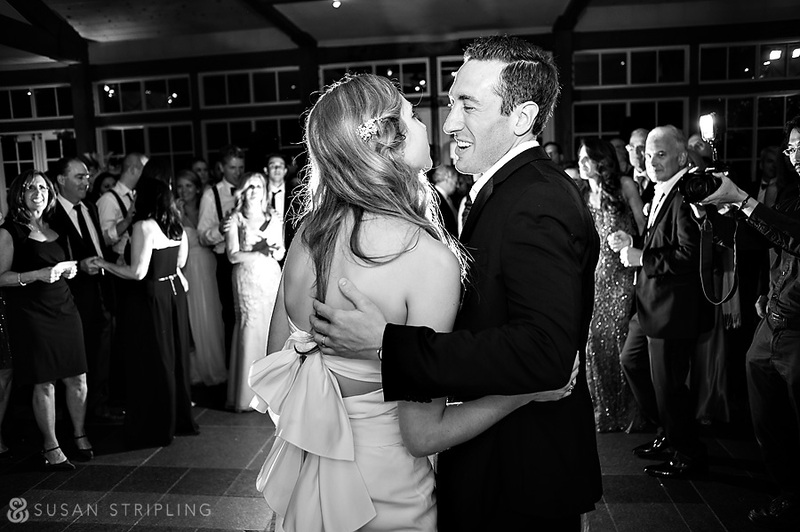 There is nothing better than an awesome first dance. Truly. 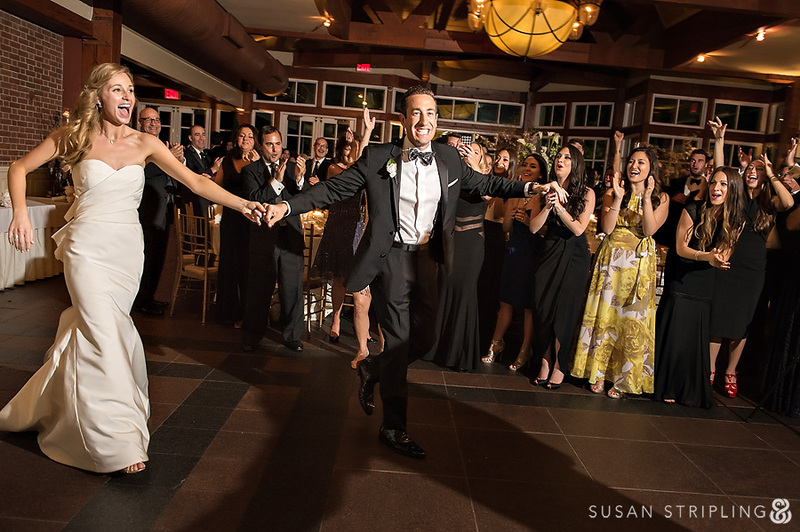 Even after the first dance was over, and the crowd joined them on the floor, Samantha and Adam didn’t stop dancing together. I really, really loved that. 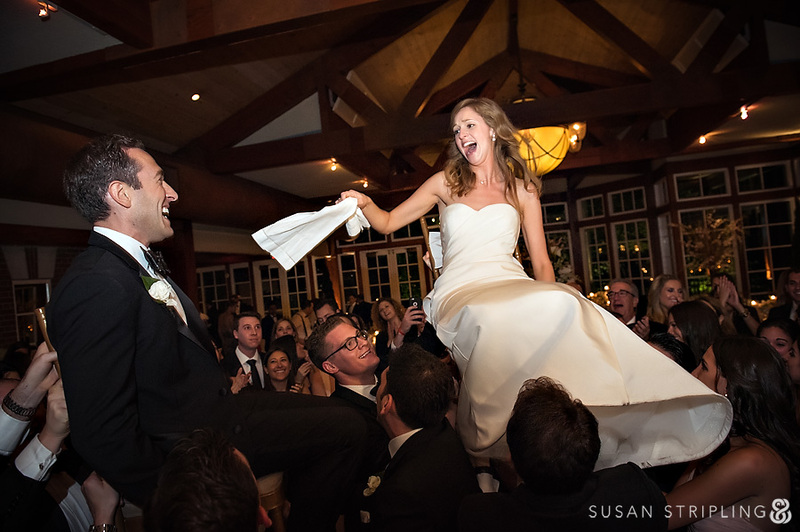 I love a great hora. This crowd was fantastic, and I love Samantha’s expression here! 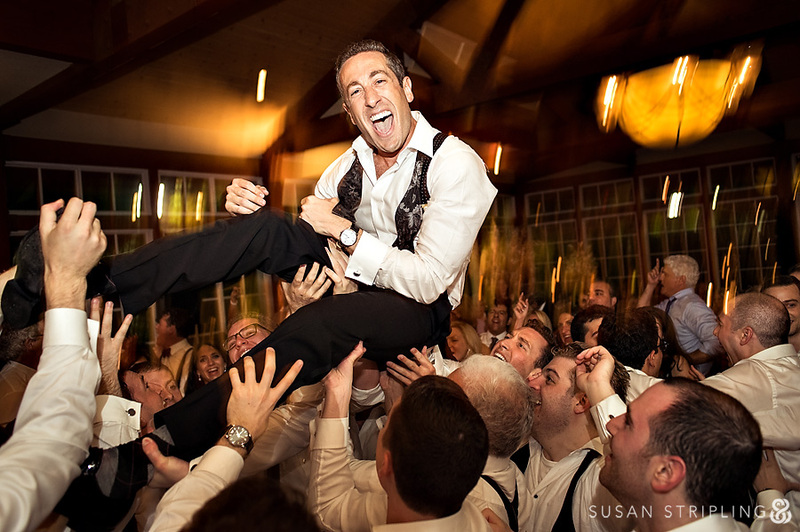 The look on the mother of the groom’s face is simply priceless. 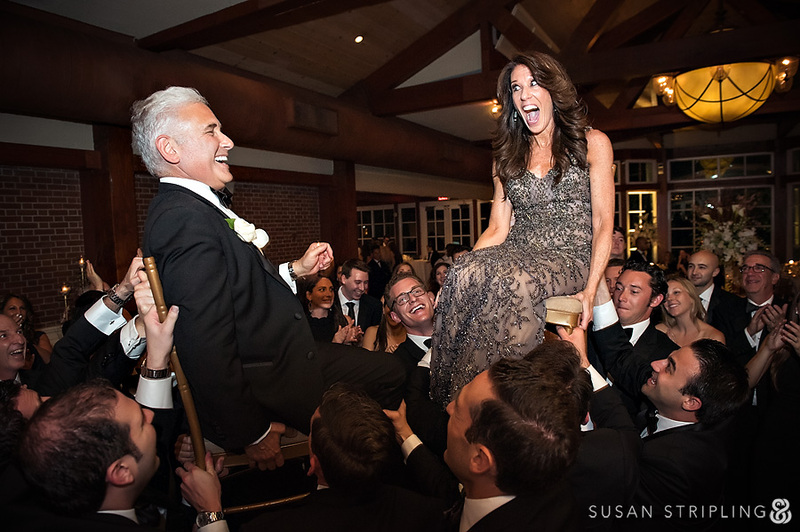 I love it when the parents are lifted on the chairs during the hora! I often get asked how I can capture the action of the person giving the toast with the reaction of the crowd without a second shooter. My answer is simple : I just do. I’ve spent almost fifteen years training myself to see both action and reaction, and I LOVE this reaction image! Samantha and Adam are exceptionally kind to each other. They’re such lovely, vibrant, warm, wonderful people. I can see why their family and friends said such wonderful things about them during their toasts! 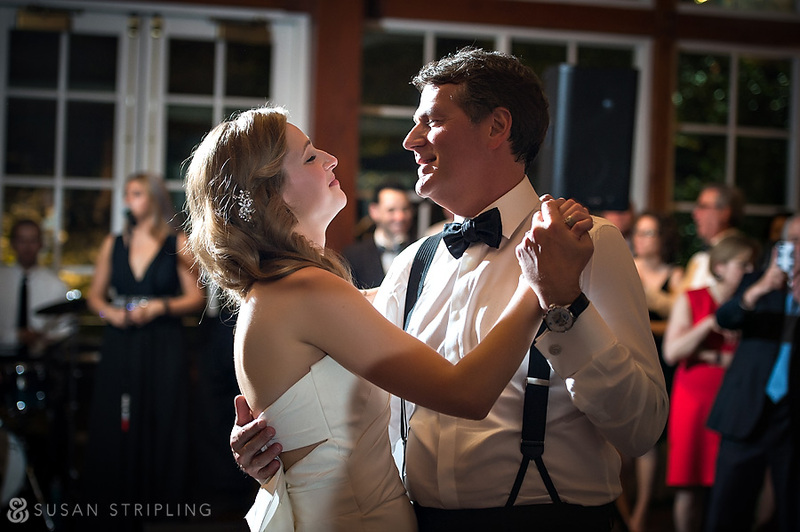 The father/daughter dance always has such a sweet place in my heart, and the incredible moments between Samantha and her father were really amazing. 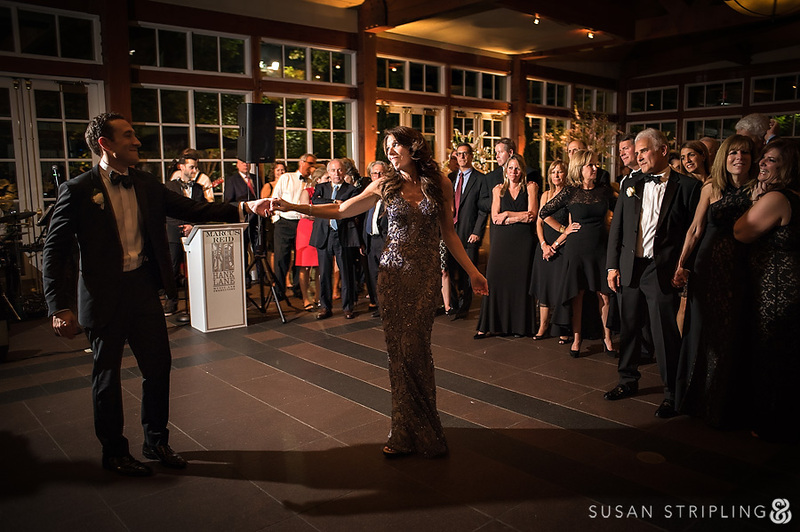 …likewise with the groom/mother dance. Adam’s mom is vivacious and the love she has for her son is really awesome. 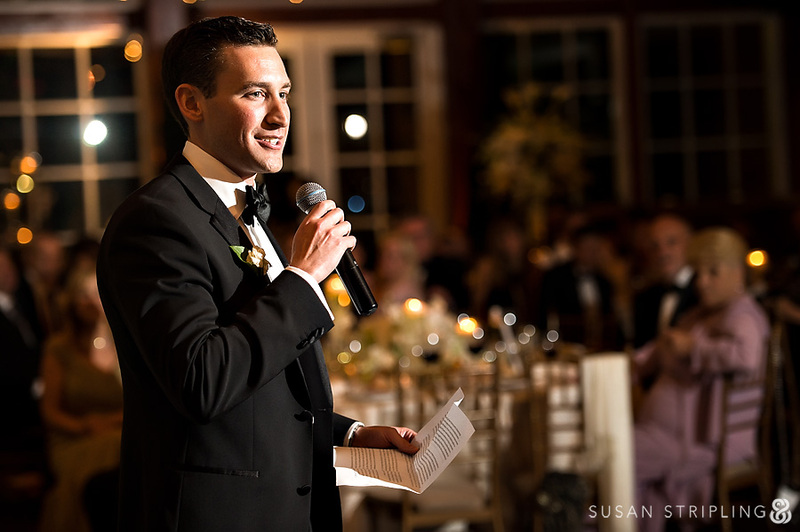 I always love hearing the toasts during a wedding reception. It lets me get to know my clients a bit more, and it’s always really heartwarming to hear the sweet stories shared. It’s also pretty great to hear the embarrassing stories, too! This image really shows off the gorgeous bows on the back of Samantha’s dress. Don’t you LOVE them? 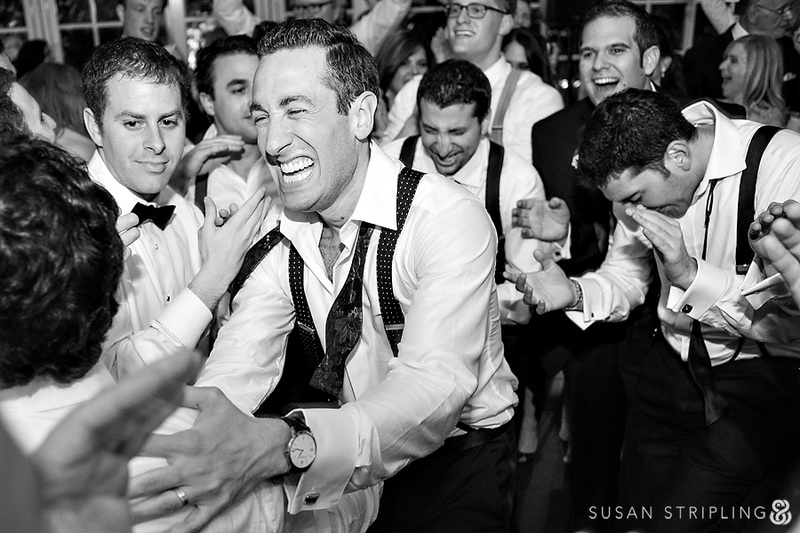 The bride and groom had a really tight-knit circle of great friends. Though I briefly worried about Adam’s safety when his friends started tossing him towards the ceiling, it made for some great photographs! The dance floor was 100% packed from the beginning to the end of the reception! 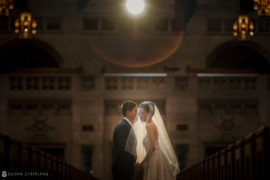 Samantha and Adam, thank you so much for entrusting me with your memories. It was a huge joy to spend the day with you both, your beautiful families, and your hilarious friends. 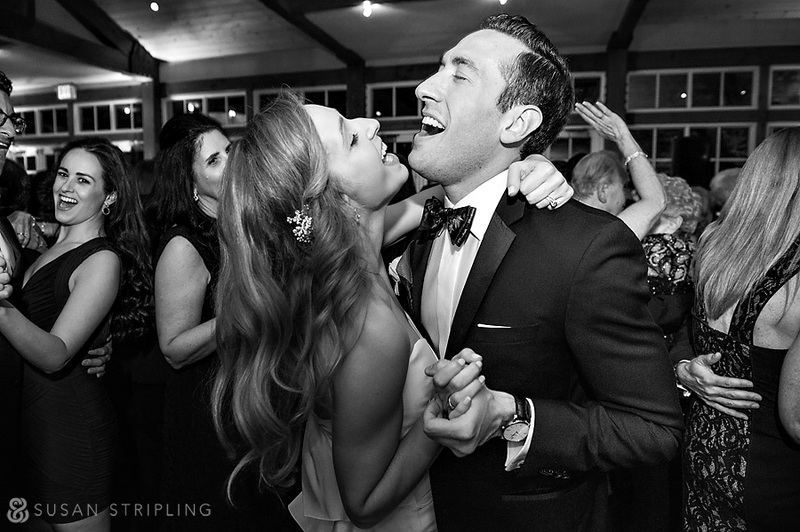 I hope you’re off having the best honeymoon EVER, and I can’t wait to share the rest of your images with you soon!